Lokermigasid.com merupakan situs informasi lowongan kerja migas di Indonesia. Berlaku bagi lulusan SMA/SMK, Diploma, S1 hingga S3. 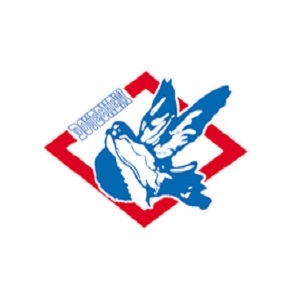 Founded in 1960, The Dovechem Group is one of the leading chemical group companies in Asia Pacific engaged in Distribution, Manufacturing, Terminal and Logistics for the petrochemical related industries. PT. Dover Chemical produces formaldehyde, formaldehyde resins (UF, MF, PF, PUF) used in the wood panel industries, such as plywood, particle board, medium density fiberboard (MDF) and household furniture. It also produces emulsion adhesives which are used widely in many industries. Here at PT. Dover Chemical, we are continuously improving our manufacturing process and capacity to achieve greater production efficiency. We have a corporate culture that is dynamic, creative and innovative as well as providing an opportunity for you to develop a career with us. Design of the pipeline installation, project supervison, design of the pipeline stress, thickness of the pipeline. Candidate must posses at least a Bachelor's degree in Engineering (mechanical) or equivalent. Required skills: Auto Cad 2D/3D, design piping, ASME Standard, Caesar 2, Ms. Office (Ms. Word & Ms. Excel). At least 3 year(s) of experience in piping construction engineer. Have experience in a build a plant and pipping fabrication would be advantage. Good personality, good leadership, cooperative, proactive and a team player. Applicants must be willing to work in Merak, Banten. Only short-listed candidates will be invited via e-mail/phone for test and interview. Thanks for reading PT. Dover Chemical Jobs: Piping Engineer. Please share...! 0 Comment for "PT. Dover Chemical Jobs: Piping Engineer"